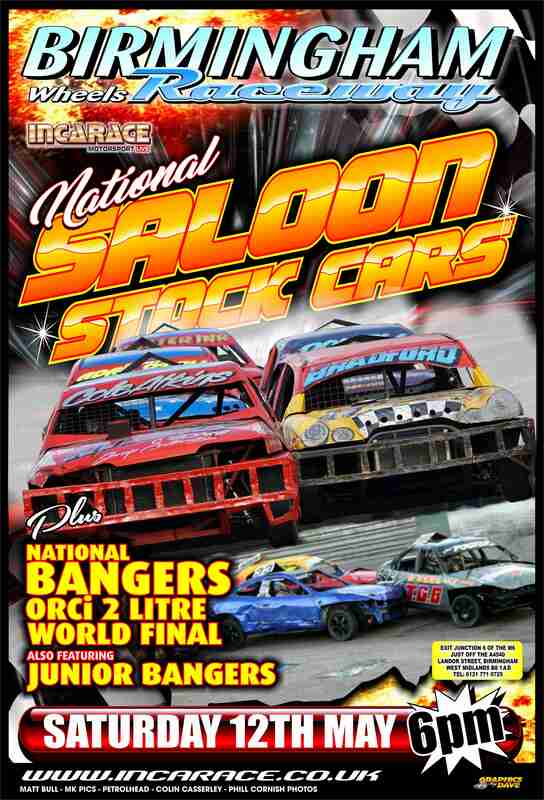 Don’t forget this weekend’s Race Action kicks off on Saturday 12th May at Birmingham Wheels with a superb meeting featuring the 2.0Ltr Bangers ORCi World Championship, National Saloon Stock Cars and Junior Bangers for an ‘all – contact special’ in the city with a start time of 6:00pm. 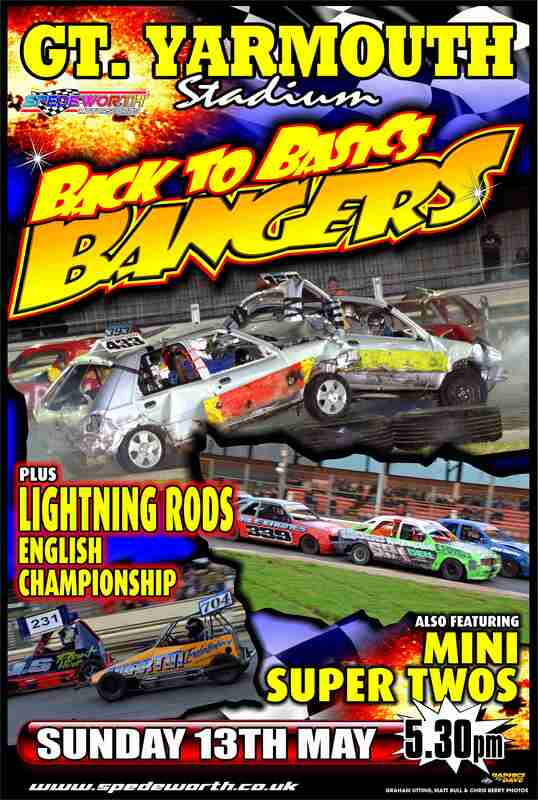 And then on Sunday at Yarmouth we feature the Lightning Rods 2018 English Championship, Back to Basic Bangers and Mini Super Twos for a cracking meeting at the Seaside with the action getting underway at 5:30PM. 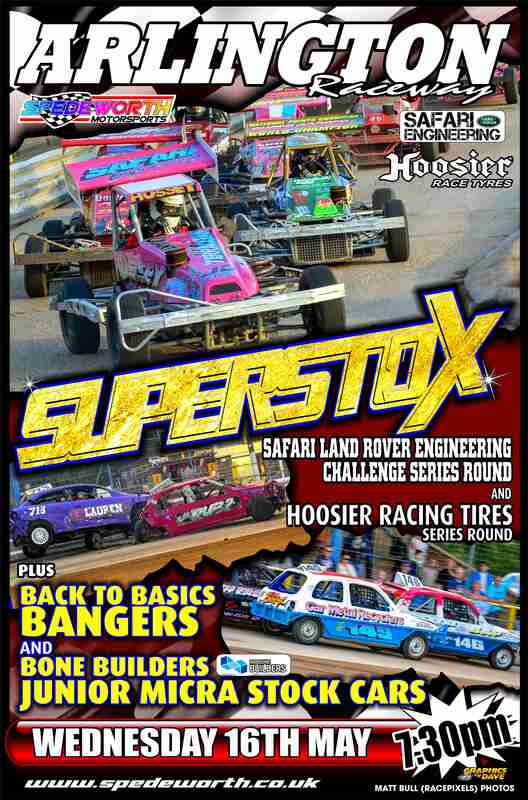 Finally, on Wednesday at Arlington Raceway, Eastbourne we present a meeting a lot of folk have been looking forward to as we begin our popular Wednesday Night Summer Race Nights with the awesome Superstox contesting the Safari Landrover Engineering Challenge Series Round 4 and Round 6 of their brand new for 2018, - Hoosier Tire Series. Back to Basics Bangers are in attendance also as are the Bone Builders Junior Micra Stock Cars with the start time 7:30pm. Race Fans don't forget to purchase your new souvenir Full Colour Race Meeting Programmes and the brand new May Issue of Wheelspin Magazine for all your ‘Racing Reading’. 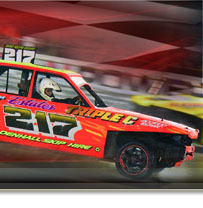 It’s another great weekend and week of Oval Motorsport with Spedeworth / Incarace!